Creating an effective Twitter marketing strategy for business requires more than a basic understanding of the audience you want to reach with the products and services you provide. Understanding both social media management and how to properly maximize your online reach is essential to building a following that is active, engaged, and loyal. Implementing some of the most popular Twitter marketing strategies and tactics and working alongside a digital marketing agency is a great way to ensure your business and brand is on the right track. Let’s take @Google as an example. Google is recommending their new features on #GoogleFlights in the spring break season. So, it is good for people who are planning a trip to somewhere. Defining a voice for your brand is one of the first steps to keep in mind when creating an online presence for your business. Businesses that appear to robotic or corporate are less likely to create authentic bonds and relationships with those who have a genuine interest in learning more about your brand and what you have to offer. Define your brand’s voice based on the audience and demographics you want to reach. How do you intend for users to find your website and social media presence? Do you plan to speak directly to consumers or do you prefer a corporate voice to appear more professional? How does your brand’s logo visually appear to those you want to reach? Does your top competition use a specific and defined voice to reach and communicate with their followers and prospective customers? Tracking trending keywords and phrases that are most relevant to your business and brand is another important marketing tactic to keep in mind, especially when you choose to utilize Twitter to reach your audience. Track and monitor trendy keywords using the official Twitter platform or with the use of third-party solutions such as Google Trends. The more familiar you become with various keywords and phrases searched by your target audience, the easier it is to reach them on a more personal and intimate level each time you share news and updates with your followers. Create an editorial calendar to keep track of your upcoming updates and to avoid going days, weeks, or even months in between the updates you share with your followers. An editorial calendar is optimal to keep track of the content, links, and news you have shared while preventing you from losing out on the potential opportunity to appeal to new prospective followers and customers. While there are many automated services available on the market for marketers and online entrepreneurs alike, it is important to avoid complete automation when you are building your social media presence. 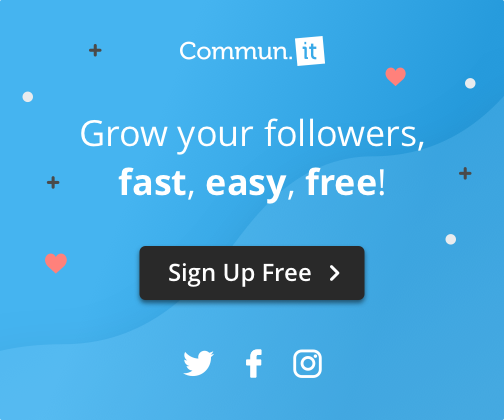 Completely automating your social media updates and news can leave you apathetic and despondent when it comes to checking on updates and responding to comments, questions, or opinions left by current followers. Complete automation also increases your brand’s risk of becoming negatively impacted by social media platform algorithms that often detect automated posting. If your brand is detected as automated, you are likely to experience fewer views and exposure throughout the entire platform itself. @Scratch use #scratchinpractice #twitterchat to attract their audiences. Avoid using only automated software to market your updates and news by joining live Twitter chats while following trending feeds that are most relevant to the market you want to reach. Engage with live feeds on Twitter using your brand’s defined voice to appeal to others who may have an interest in learning more about your business. Connect with strangers and prospective customers during Twitter chats and live feeds while increasing your brand’s awareness and the amount of exposure your brand’s name and logo receives online. Boost the SEO (search engine optimization) of your official website and business by engaging with more users and having your own Tweets liked and retweeted by other individuals who have clout online. @PacificaBeauty launches their giveaway campaigns to get their body skincare items for free. One way to drastically increase the number of followers your brand has on Twitter is to host your own contests and giveaways. Using Twitter to host a contest or giveaway is a great way to gain traction using unique hashtags, videos, and other relevant media to appeal to potential shoppers and followers. Encourage users to follow your brand and to engage with your content to maximize your online reach while incentivizing Twitter users to discover what your business and brand is all about while potentially following you or making a purchase of their own. Communication is key for any brand or business, online or off. Use Twitter to build and strengthen the relationship you have with your followers and individuals who are interested in your products and services. Answer questions and respond to inquiries directly on your Twitter posts or relevant feeds to showcase complete transparency. Users are much more likely to put their own trust in business or brand that is willing to openly respond to questions or even criticism left by followers online. Communicating openly and honestly with followers and fans is a great way to build a professional reputation while attracting even more users to your online presence. Cultivating a rich online following is not always possible overnight, even if some of the Twitter (and other social media platform) content goes viral. Knowing how to build a good rapport with followers while boosting the views your posts receive is imperative to outshine competition while solidifying a name for your business online, especially when you work in a highly competitive industry.